06:55 A.M Meet at airport. Drive to Ashgabat for breakfast and short sightseeing in town. Drive to Yangy Kala (The south eastern bordering area of Gara Bogaz Gol bay, it has spectacular view of the former sea bed, and millions of years work by natural forces to form the canyons in its unusual shapes and variety of colors). Arrive and discover Yangy Kala canyons. Return to Gozli Ata mausoleum. Visit and overnight at pilgrimage /or camping as per choice. *Total distance 440-450 km. The landscape changes from plateau to Karakum desert. 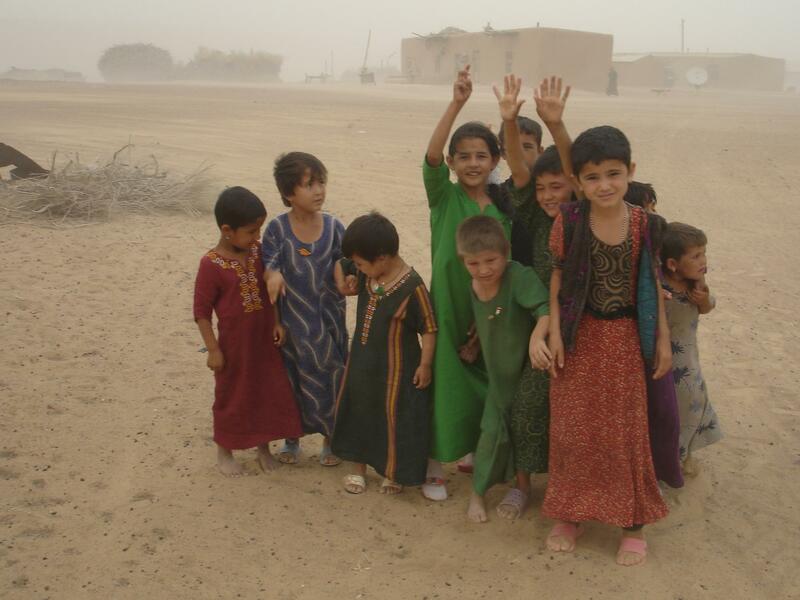 Altitude is from 300 to 100 m.
Continue trekking in Karakum desert. Crossing the barchans, discover landscape. Stop for walk in the desert and lunch. Arrive at Damla village. Discover people and their mode of life. Continue drive to Murzechirla village. Camping. O/N in tent. Continue trekking in the desert. 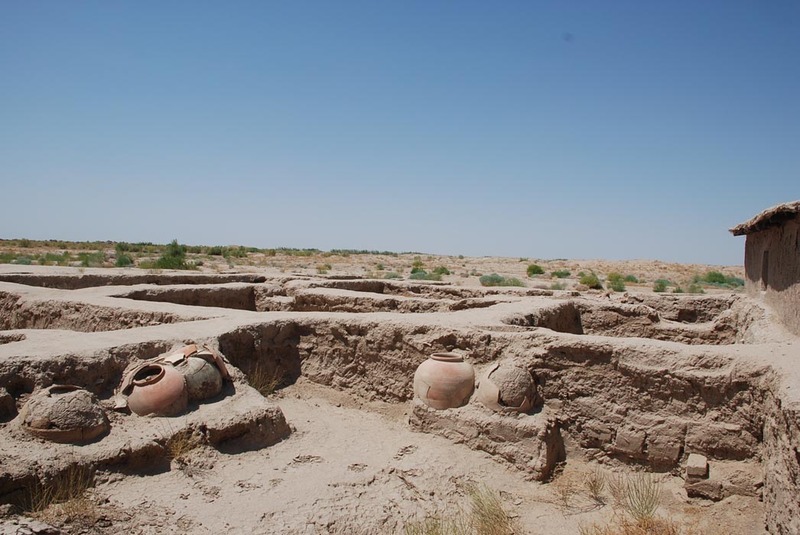 Arrive at Gonur Depe and see the archeological excavations. 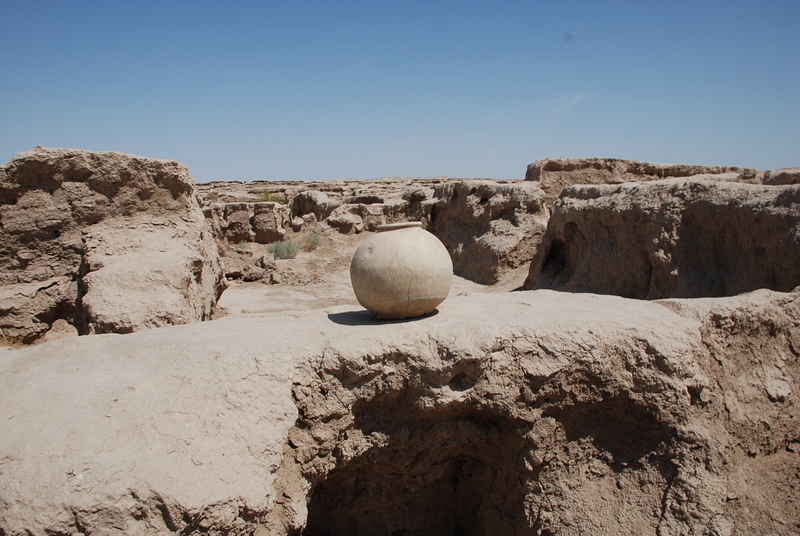 Drive to Merv historical site (One of the famous cities on the ancient Silk Road, having more 2500 years of history, declared a World heritage site from 1999. 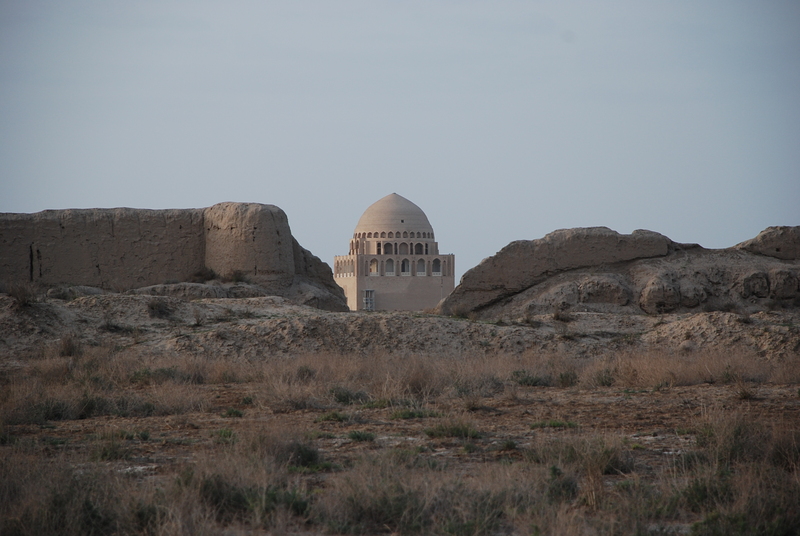 It is located 26 km to the east from Mary, the first ruins appeared on the outskirts of Bayram Ali town. Its immense domain enclose five main sites (Erk Kala, Gyaur Kala, Sultan Kala, Abdullah Khan Kala, Bayram Ali Khan Kala) and numerous remains of caravanserais, fortresses, fortified castles and small towns or estates now seen in the forms of mounds, total surface is around 70 sq. km. As Gonur, the Merv in its turn had appeared, thanks to the Murgab river, flowing in the area in ancient times. Silk Road important city, Merv had four directions of trade caravan routes: Kunya Urgench to its north, Bukhara and Samarkand (Sogdiana) to the east, Herat (Bactria) to the south, to Mashad (Iran) to the west. Sightseeing : Alexandria Margiana, Antiochia Margiana remains, Sultan Kala, Sultan Ahmad Sanjar mausoleum, Yusuf Hamadany shrine, Mohammed ibn Zaid mausoleum, Gyz Kala castles.